US President Donald Trump seems to have changed his rhetoric on North Korea. From being ‘not happy’ with the DPRK regime, Trump has moved on to being open to meeting the Korean premier Kim Jong-Un and ‘would be honoured’ to do so. “If it would be appropriate for me to meet with him I would absolutely. I would be honoured to do it,” Trump said in an interview with Bloomberg. Tensions with North Korea have soared in recent weeks, amid Pyongyang’s series of provocative missile tests. The Trump administration has repeatedly warned “all options are on the table” when it comes to dealing with North Korea’s missile and nuclear programs—but it also stressed last week it is open to direct talks with Pyongyang. “If it’s under the, again, under the right circumstances. But I would do that,” Trump said. Pyongyang’s latest attempted show of force was a failed missile test on Saturday that came just hours after US Secretary of State Rex Tillerson pressed the UN Security Council to do more to push the North into abandoning its weapons programme. Tillerson warned the UN Security Council last week of “catastrophic consequences” if the world does not act and said that military options for dealing with the North were still “on the table”. 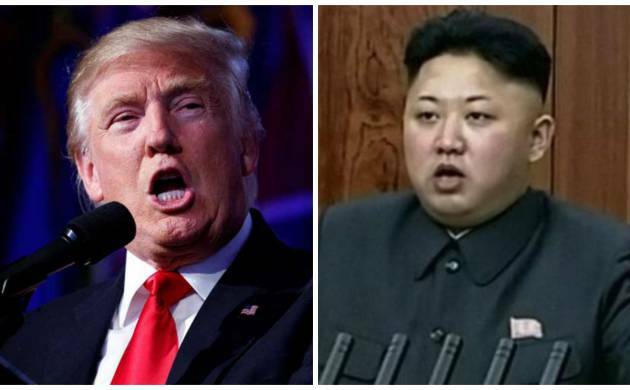 In an interview that aired Sunday on CBS television network’s “Face the Nation” programme, Trump said that if North Korea carries out another nuclear test “I would not be happy”.